I have often wondered what it must have been like on that day when the heavens opened and the Holy Spirit descended on Jesus like a dove and the voice of God thundered through the clouds. Seriously, can you imagine being one of those ordinary folks? Perhaps you came to be baptized. Maybe you just made your way into the desert to see what this eccentric or strange man was doing at the river. John had been preaching relentlessly, so maybe just to satisfy your inquisitive nature, you came to observe. Or perhaps it was your friend or relative who came to be baptized. When the word of God combines with the earthly element, such a wondrous thing happens even today. 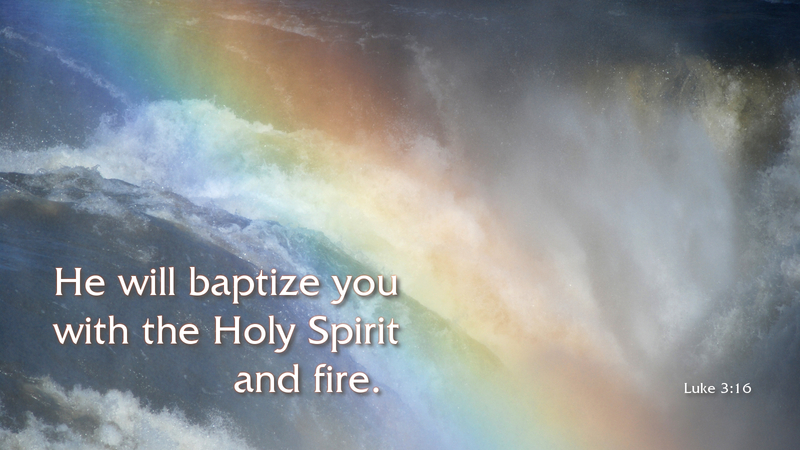 Every time we bring our children and loved ones to the waters of baptism, the Holy Spirit descends and God proclaims. In the congregation are always those who come just to observe, or to “check out the Pastor.” There are always friends and family who simply come because they were invited. So, come and invite as often as you can when the sacrament of Baptism is celebrated in your midst. Prayer: Almighty God and gracious Father, we thank you for the gift of Holy Baptism. Amen.